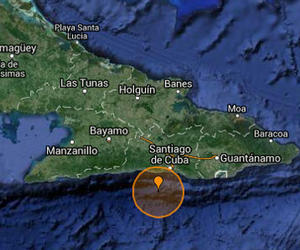 The Network of the Cuban National Seismology Service announced on Tuesday that three detectable earthquakes were registered in the town of Caimanera in the province of Guantanamo registering 3.6, 4.5 and 2.9 on the Richter scale during the early morning hours of April 25th. The earthquakes were also felt in the municipalities of Caimanera, El Salvador, San Antonio del Sur and Guantanamo. Also in the municipality of Bartolome Maso in the province of Granma and in the municipality of Santiago de Cuba.